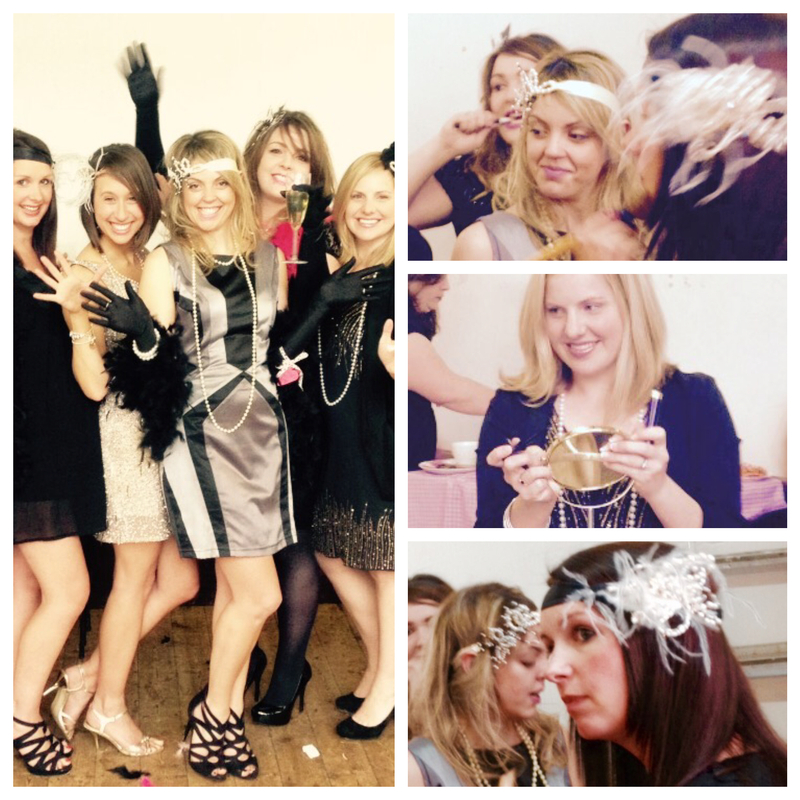 Gatsby Inspired Hen Party Ideas. 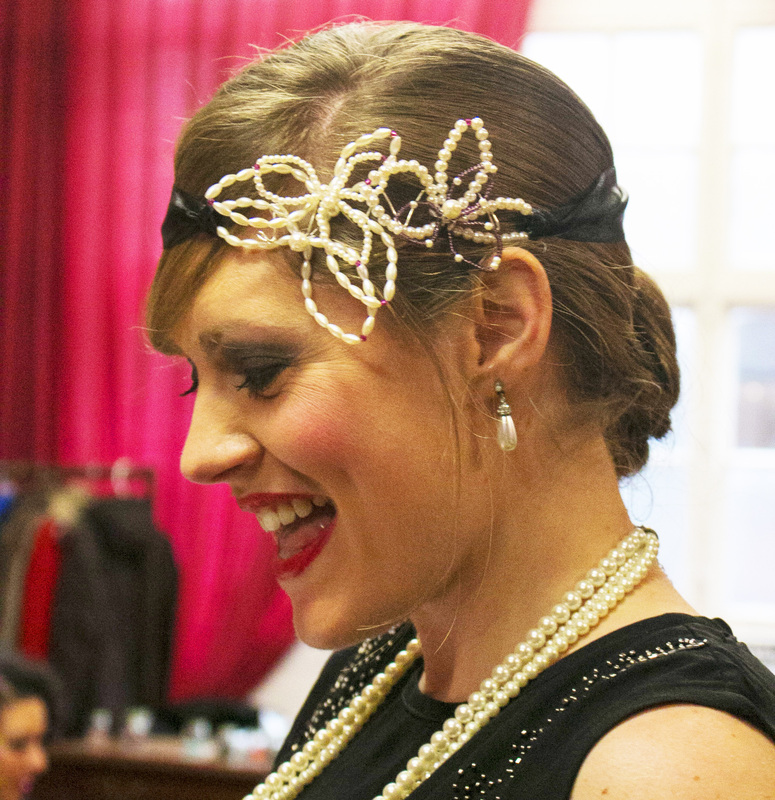 Make a 1920’s Headpiece, Nibble On Vintage Afternoon Tea and Sip Bubbles. What can be more fun than an afternoon tea with the girls? Fascinator making at the same time of course! What can make it even better? 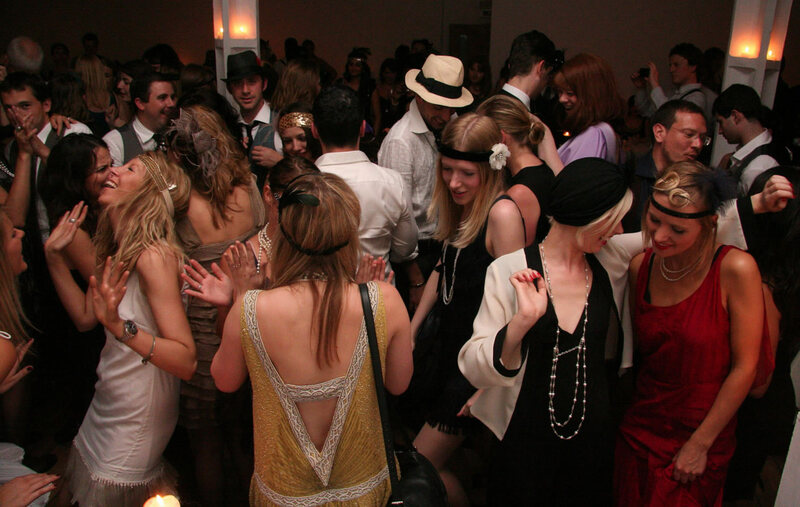 A Gatsby inspired party of course! Exmouth Market with its quirky atmosphere was the place to host a Gatsby Inspired Hen Party for 14 happy hens and a beaming bride. Once arrived they were dressed for a night out on the town in the 1920’s Louisiana and to put the cherry on top, Lipstick and Curls (THE vintage make-over girls) were there to help with hair and makeup and the illusion was complete! The hens were all busy working on their headbands and beadwork, but never too busy to laugh and chat and of course enjoy the fizzy bubbles. During the break they were served a lovely afternoon tea of mini cupcakes, macaroons, scones, finger sandwiches lots of different teas and bubbles. 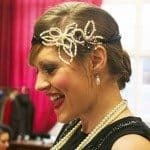 To complete the look they all made Gatsby headbands with Swarovski crystals, luscious beads from around the world, colourful ribbons and luxurious feathers. With the guidance and help from the glam hatter girls it was a fun afternoon resulting in a beautiful headband they wore for their 1920’s night out. Sherlock Holmes Murder Mystery Hen Party Evening. 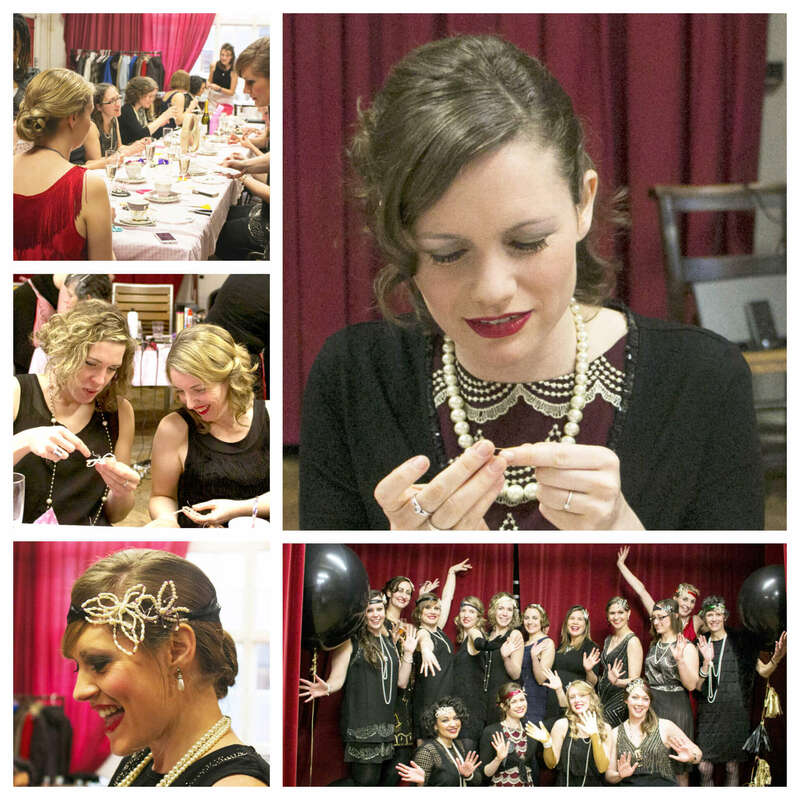 If you want a complete 1920’s evening, the hen party below did just that this weekend! They arrived ready for making Gatsby headbands with Afternoon tea to fuel up for an evening of a Sherlock Holmes Murder Mystery. Park Plaza Hotel on Baker Street offer a full evening of dinner, drinks and a murder mystery to toggle your inner detective and your outer 20’s diva! You can also check out The Murder Mystery Company, they have some super fun murder mystery nights, from “Hollywood Homicide” featuring Marilyn Monroe to “Murder and The Mob” set in NY 1934 – choose our Vintage Fascinator Making Workshop if you’re going to that one! 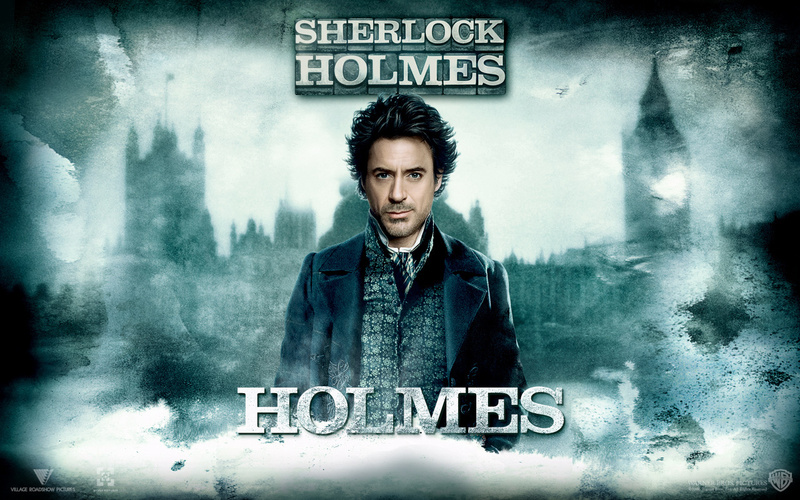 We can’t guarantee that your Sherlock Holmes will look like this but here’s hoping! Dancing and Dining 1920’s Style at The Candle Light Club. If murder is too much for your taste (even if it’s only pretend! ), why not arrange for a visit to The Candlelight Club, a fantastic pop up club with a 1920’s dress code and a complete 1920’s experience with the candle lit atmosphere, the music and the dinner & drinks. They’ve been covered by, Time Out, Marie Claire, Hapers Bazaar, Grazia, The Sunday Times and The evening Standard. They are THE place to be right now. They change their location each time and recently they hosted a party in the banquet hall in our studio building at The Candid Arts Trust. I just happened to be popping a load of hat boxes full of materials back to my studio after hosting a Gatsby workshop in our venue in Exmouth Market. I drove slowly down our cobbled stone street which leads to my studio in Candid Arts and the street was awash with dandies and flapper girls. If my Quashqai car could have morphed itself into a 1920’s roller I swear it would have! The beautifully dressed crowd wound itself down the street and then clambered through the metal doors, it was an truly enchanting sight and passers by stopped to stare and to smile. I’ll be heading to the next Candle Light Club and will give you the inside scoop! I hope you enjoyed this post and found it useful for planning your hen party. Please leave a comment if you have any fabulous recommendations or any questions related to stylish hen parties that you would like answered. For full details of our Gatsby Inspired Platinum Package click here. If you would like Lipstick & Curls at your Glam Hatters Hen Party please email us for all the details or visit their site here. For more details about The Candle Light Club click here. For more details of The Murder Mystery Company click here.